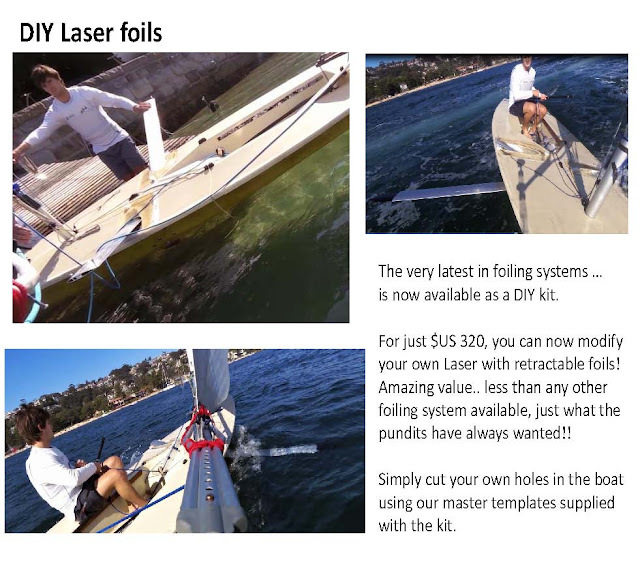 Don't want to pay $5,000 for a foiling Laser kit? Now you can build your own! Here's the affordable Laser foiling system. I understand this was the original 'concept prototype' for the Laser foiling system. It actually worked and this design will foil! 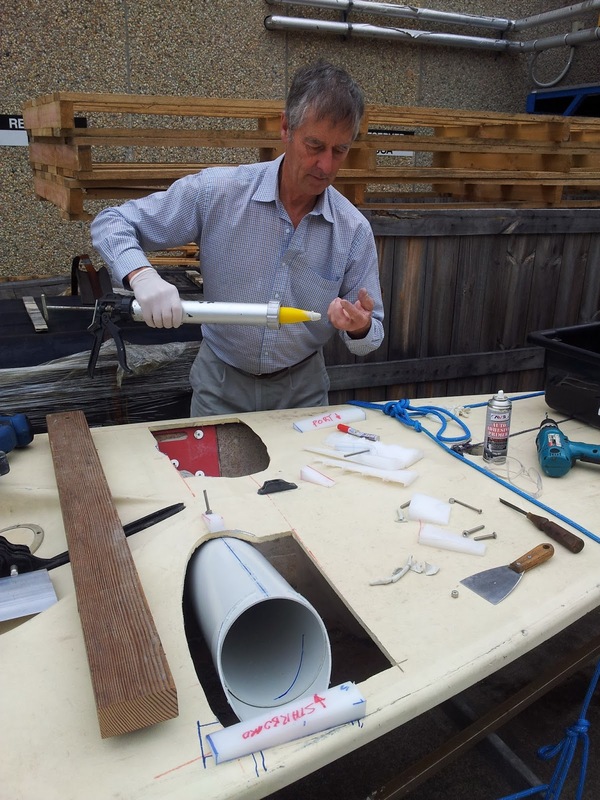 Peter Stephinson, is one of the inventors of the foiling Laser kit. He also happens to be the current GGM Austrialian Laser National Champion. Peter is always looking for creative ways to sail as can be seen in this video of a truly unique finish (starting at about 2:50) at the 2015 Kingston Laser Master Worlds. Peter will be making a stopover in Houston, Texas on April 9-10 at TCYC on his way to the Laser Master Worlds in Mexico. 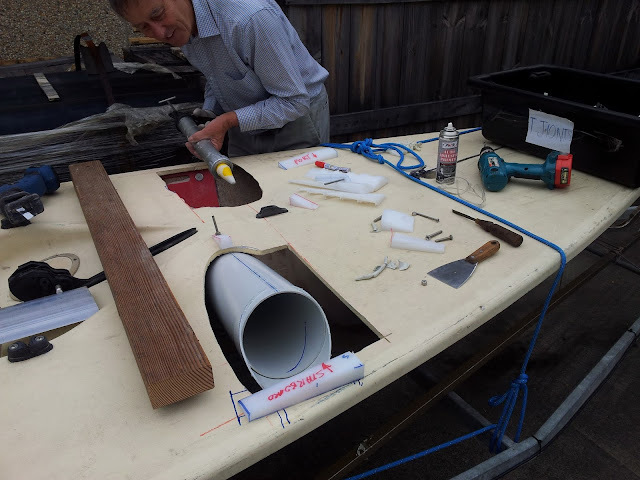 He will be demonstrating the high dollar foiling Laser system and allowing sailors to give it a try. At that time, you will also be able to purchase the DIY design kit and have first hand instruction on how to make it. Here are a few pics of the installation process. When you make that first cut into the hull, just remember, it really does work! Well done Pam & Doug for breaking this great piece of news to the Lasering world. It is a real scoop, no other info to be found on this on the internet. And all on April fools day! I have cut those big holes in my deck. What do I do next? It was an April Fool's joke but it does really work and Peter will actually sell you the design to do it. He is looking for the video they made of the original test. I can't wait to see it.